This recipe is great for those events that you need to prepare a side dish ahead of time. It’s actually best to prepare it and refrigerate for 2-3 days before you serve it. It’s also great for summer picnics because there is no mayonnaise in it. In a large bowl, mix together the cabbage, onion, bell pepper, and carrots. 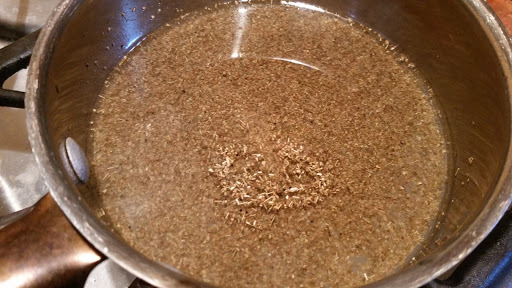 In a small saucepan, bring the sugar, oil, vinegar, celery seed, and salt to a hard boil. Pour over the cabbage mixture and stir well. Refrigerate in an airtight container. This will keep for up to 3 weeks, but ours never lasts that long.